JA Portfolio - professional business template developers JoomlArt, which can be used as a portfolio site with a demonstration of a product presentation or visual works. The original design layout is designed in bright colors, which are ideally suited to create a site service center. Support for additional extensions studios provide flexible management and reporting the most important information to the users of the site. Club framework template provides a complete set of tools that allow it to load quickly, and all browsers support different mobile platforms. Thanks to the integrated management template manager, you have access to its basic parameters. 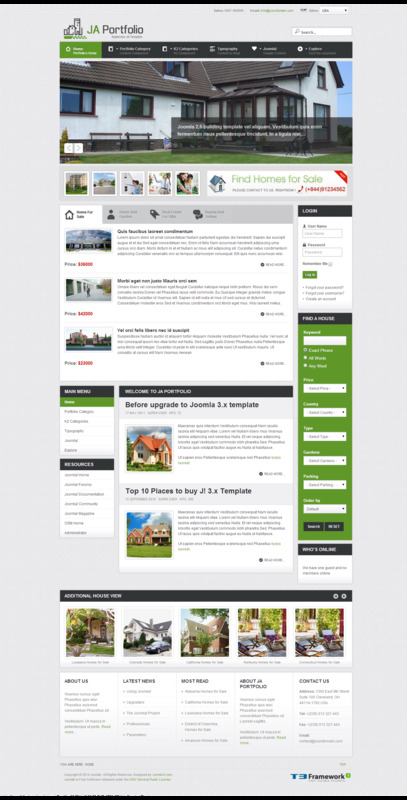 JA Portfolio - an ideal choice for creating high-quality and original sites.